(L to R) Bob Richards, CEO, Moon Express, Keith Cowing, SpaceRef/LOIRP Co-Lead, Dennis Wingo, SkyCorp/LOIRP Co-Lead, George Whitesides, CEO, Virgin Galactic. 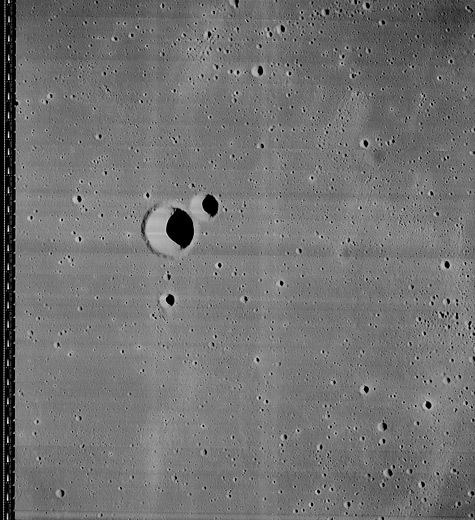 Photo taken at the Lunar Orbiter Image Recovery Project (LOIRP) facility at Building 596 (aka “McMoons”) at the NASA Ames Research Park at Moffett Field, CA on 29 July 2011. 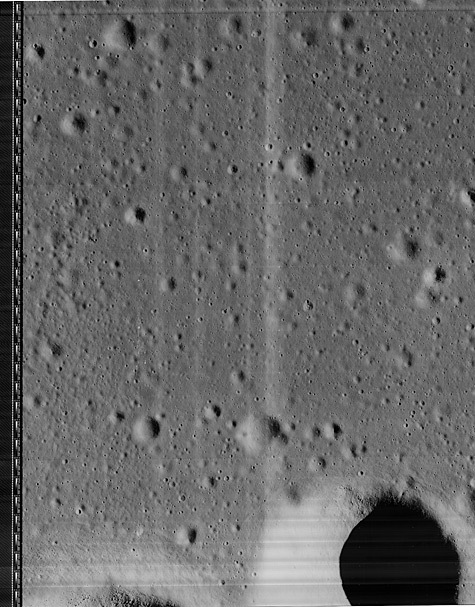 NASA Deputy Administrator Lori Garver visits with students at the Lunar Orbiter Image Recovery Project (LOIRP) facility at Building 596 (aka “McMoons”) at the NASA Ames Research Park at Moffett Field, CA on 28 July 2011. 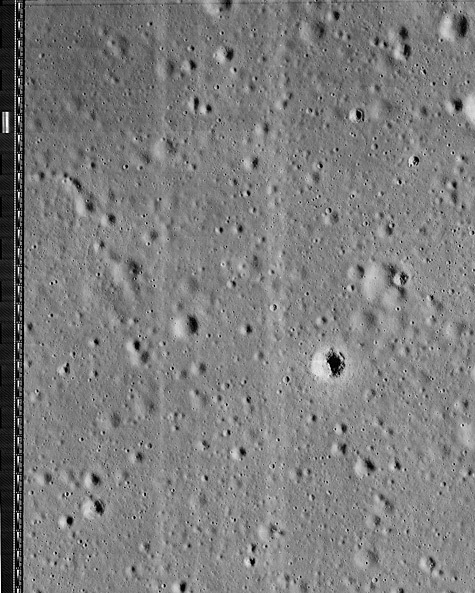 Has The Lunar Orbiter 2 Impact Site Been Found by LRO? 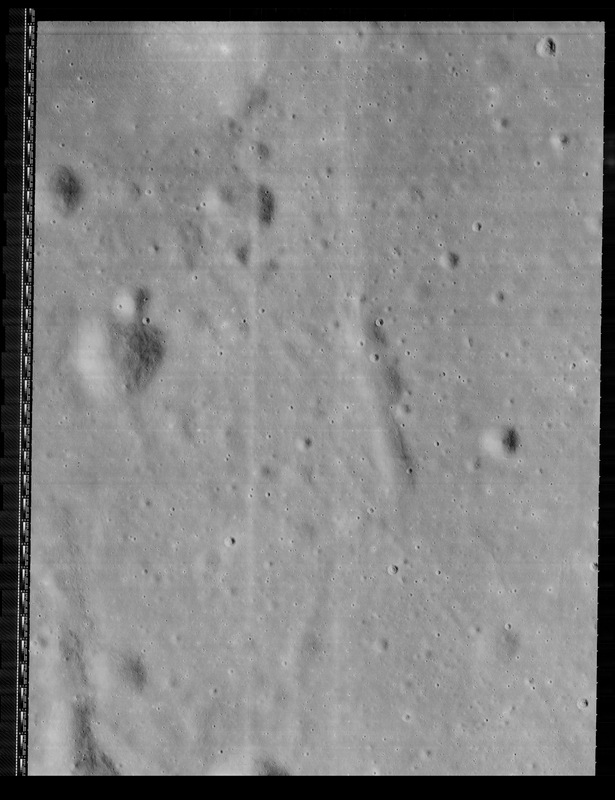 An odd-looking impact feature raises an intriguing, Apollo-era trivia question (3.02°S, 119.15°E). 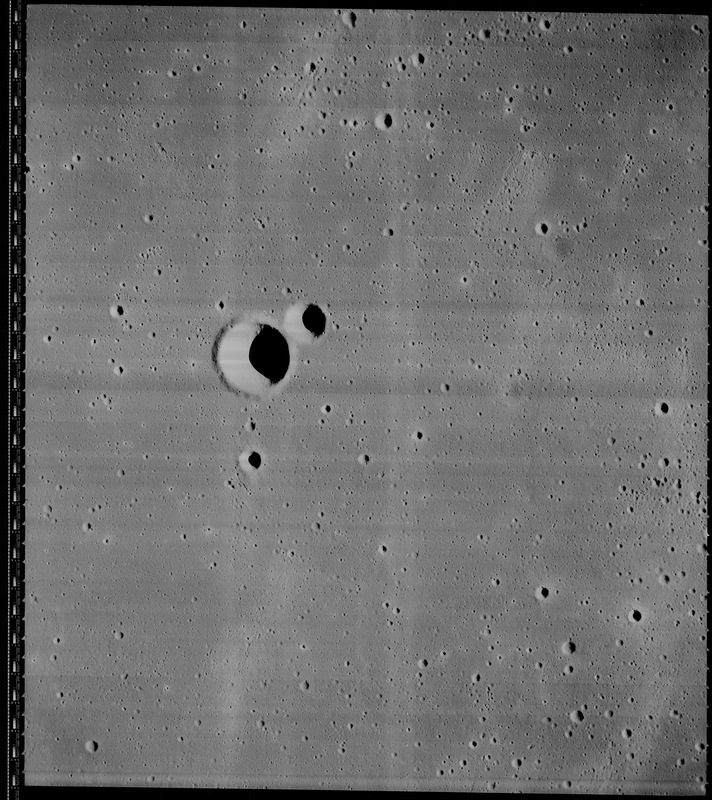 NAC image number M141485413; incidence angle 12°; Sun is from the east; north is up; image is ~600 meters across [NASA/GSFC/Arizona State University]. 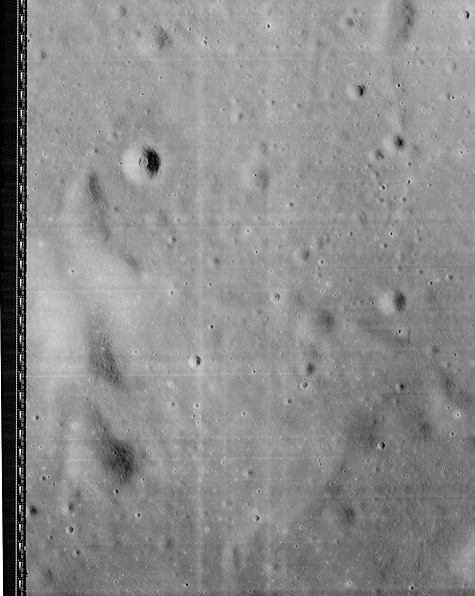 Lunar Orbiter 2 was an unmanned imaging spacecraft used in November and early December 1966 to aid with Apollo and Surveyor landing site selection. 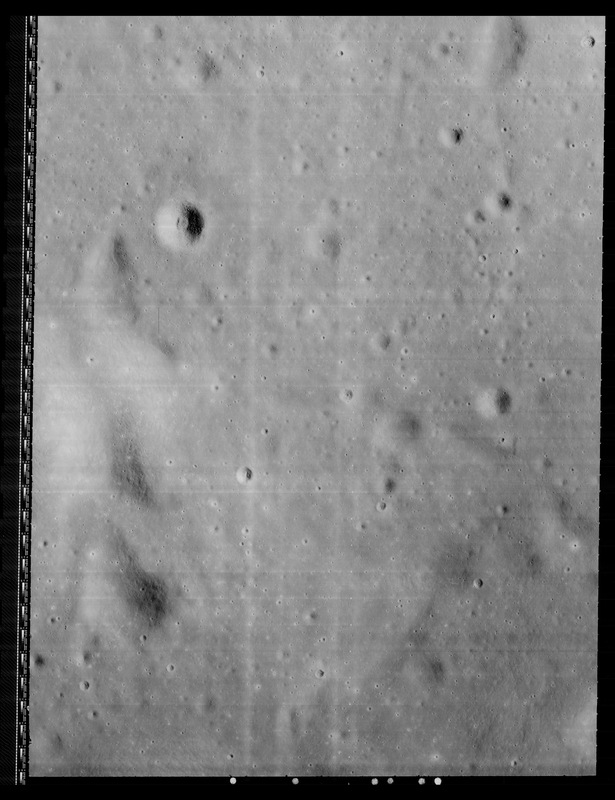 The spacecraft became famous in 1967 with the public release of an oblique image of Copernicus crater (one of only four obliques collected), which was hailed as the “Picture of the Century” by the news media of the day. According to the 2007 International Atlas of Lunar Exploration, the Lunar Orbiter 2 spacecraft was commanded to crash into the lunar farside surface on October 11, 1967. 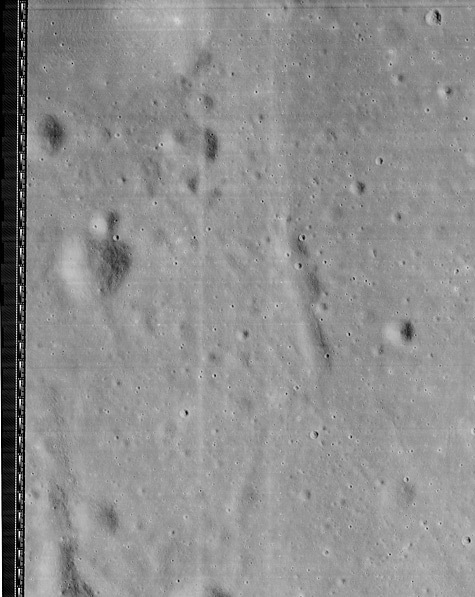 The coordinates of the Lunar Orbiter 2 impact are given as 119.1° east longitude and 3.0° north latitude, which match those of the feature in the NAC image (measured at 119.149° east longitude, and 3.020° north latitude). 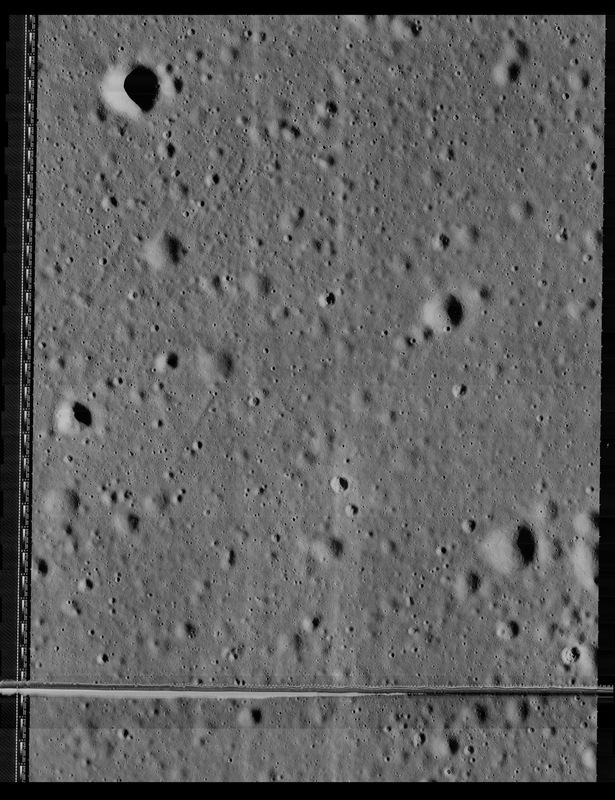 However, the published Lunar Orbiter 2 numbers are given as a rough estimate because the impact occurred on the farside of the Moon, out of direct radio contact. 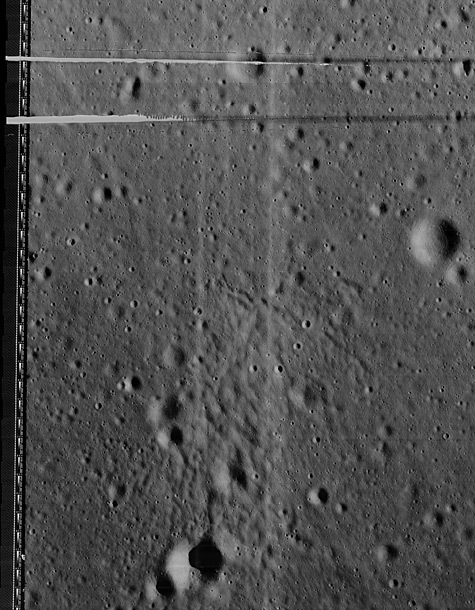 So the match with the NAC coordinates could be a coincidence. 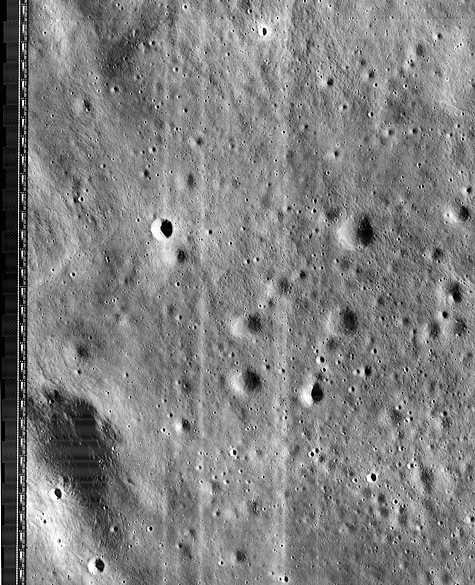 The impact appears much too large (~85 m in diameter) to be the result of an impact from a spacecraft only a few meters tall, but with a solar incidence angle of only 12 degrees, it is difficult to see the crater rim and find out the true diameter. 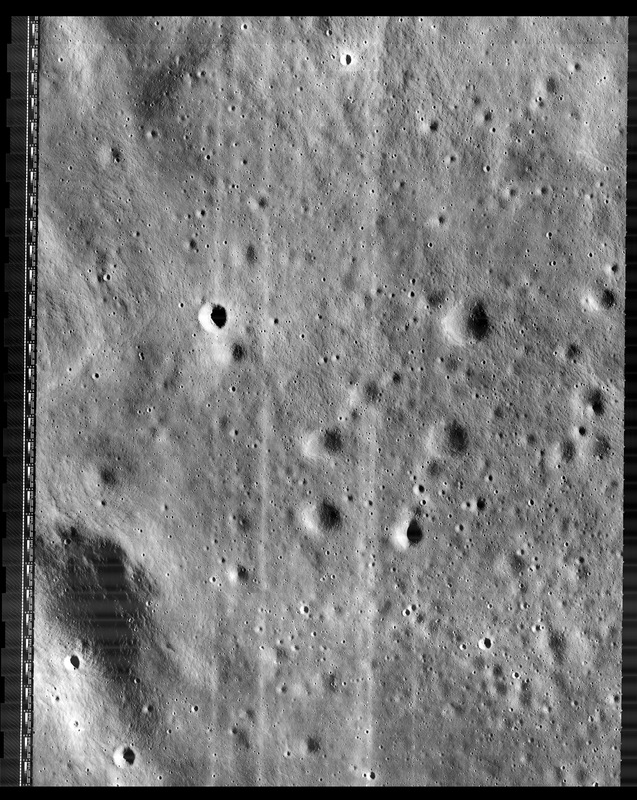 Perhaps the ejecta pattern extends far beyond the immediate impact. 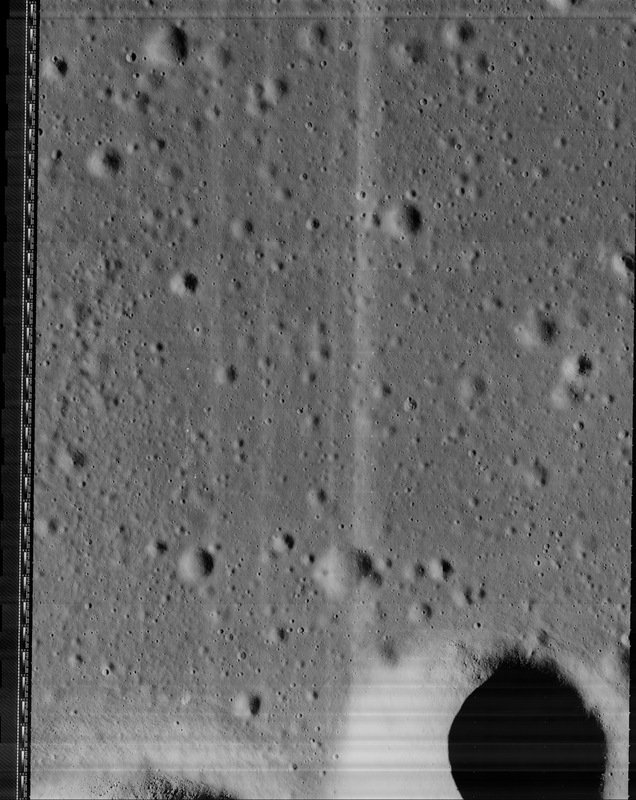 The truth is that we are not sure what caused this impact feature. 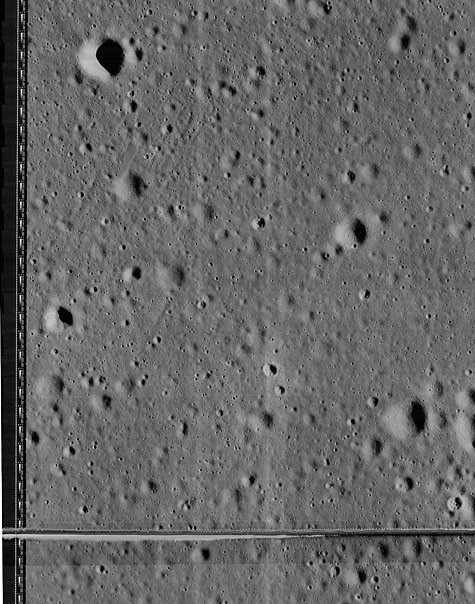 We are currently re-targeting the area under a higher incidence angle to help with crater rim measurements. Stay tuned! 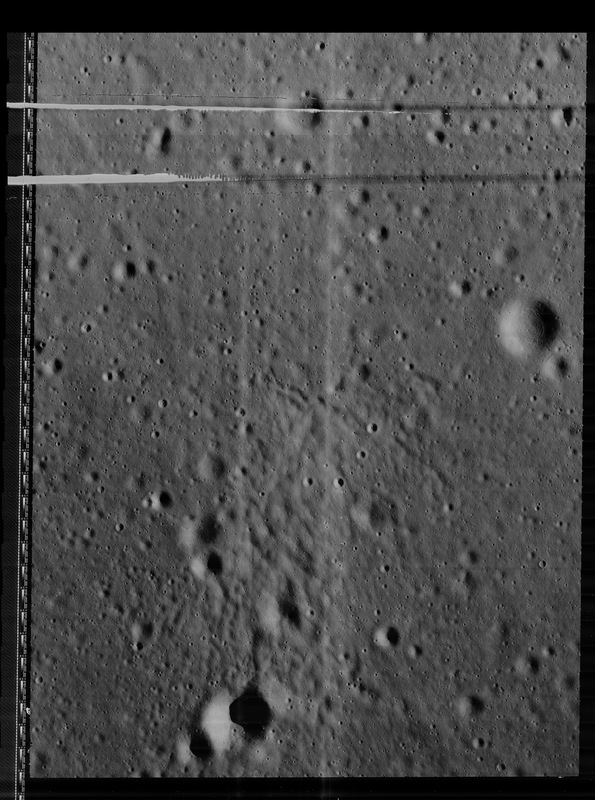 This banner was printed out by Moon Express, a Google Lunar X-Prize competitor.